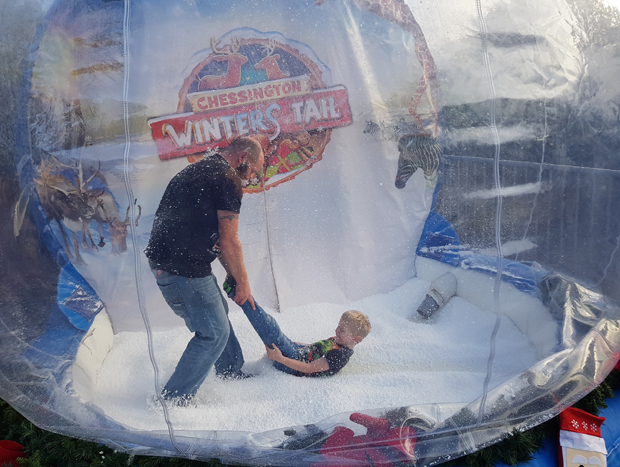 Over the years we have visited some great places to see Santa, from events local to us to Paulton's Park and my favourite to date Drusillas Winter Wonderland. 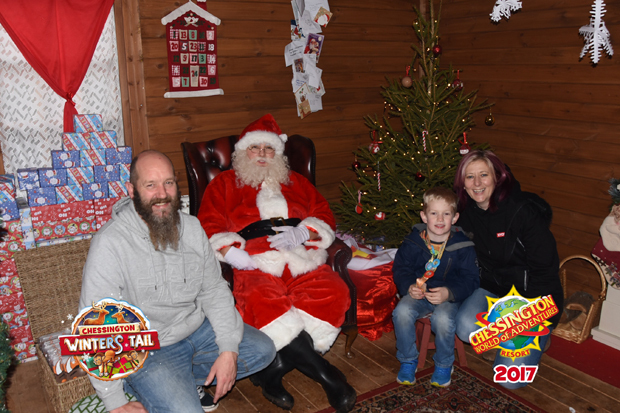 This year, we bought Merlin Passes so took the opportunity to see Santa at his Gruffalo themed Winter's Tail at Chessington for £10. Big hit with my boy! We got the early (10.30am) tickets to see Santa. My boy is an early bird and gets up before the sun, so 10.30 was a good time for him. 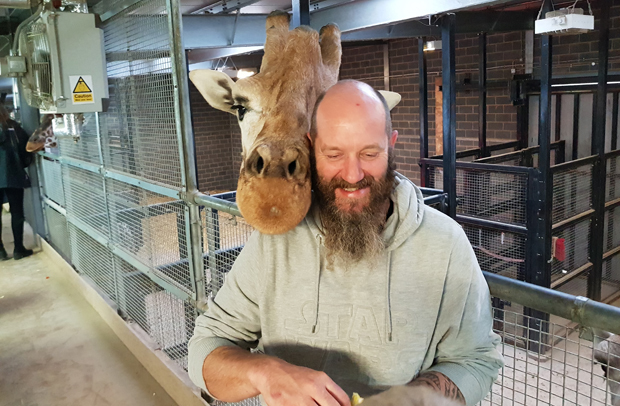 Having looked at what was on display for the day, with only a select few rides open I'd also bought tickets to feed the giraffes in the afternoon, which spread the day out nicely. I'm not going to lie, I was extremely disappointed with this. When Santa is younger than you are, something's gone wrong! 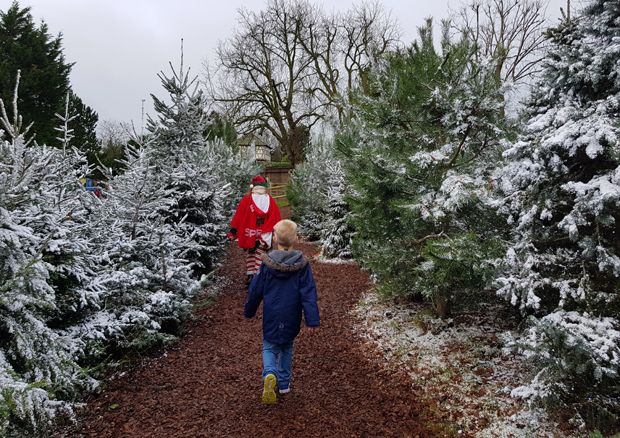 The presents weren't wrapped and considering we queued 30 minutes past our allotted time, we were in and out within minutes..... but....... my son loved seeing Santa, loved that the elf took us to Santa's hut (even though she made us practically run!) and was not phased in the slightest that he got to choose his present which was not wrapped. So from a 6-year-old's point of view - it was a success. 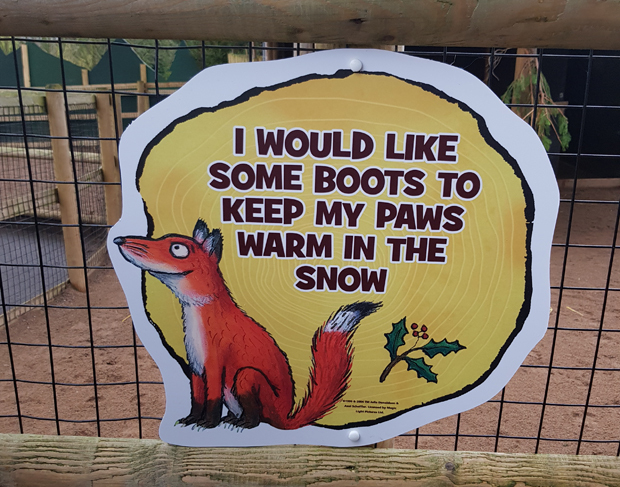 There are various events going on throughout the park, with the theme being Gruffalo there was a hunt for each of the animals within the Gruffalo story and a quiz to see what they all wanted for Christmas. 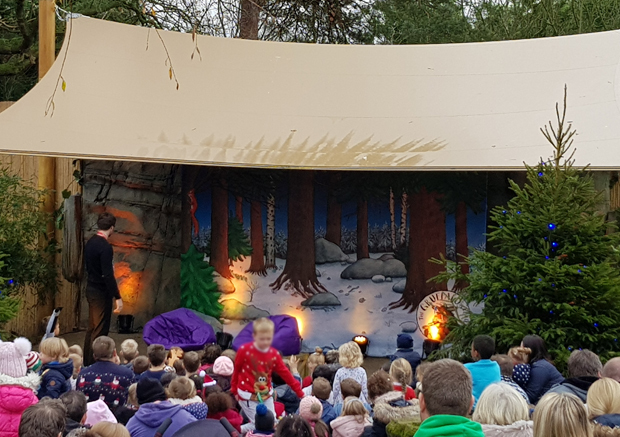 The Gruffalo ride was open, and surprising not busy, and the story of the Gruffalo's child was read out in the storytime area, complete with snow. The Zoo and Sealife centre were open and also the Pizza Pasta restaurant, which my son loves as he feels all grown up going up to get his pizza and salad all by himself. There is an option for the children to decorate cookies, but the queue to get into the Gruffalo's kitchen was way too long for us, at least an hour's wait! No way was my son going to be able to hold it together that long in a queue. So we gave that a miss and headed over the giant snow-globe. Such fun. Slightly DIY in that once you enter the snow-globe you have to make sure all the polystyrene is shovelled over to the right where the vacuum is, that and the 'official' photographer takes a few photos for £5. 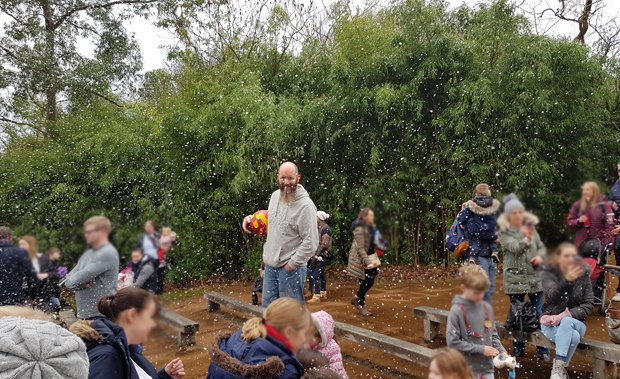 Ours were unclear due to the photos being taken when the snow was falling at its thickest and even the girls at the kiosk had trouble recognising my two in the globe! But the boys had fun and I managed to get some photos myself, so all was not lost. We finished our day off with a trip to the Giraffe house where we fed these little beauts, before heading off home with a very happy little boy, all excited and ready for Christmas.